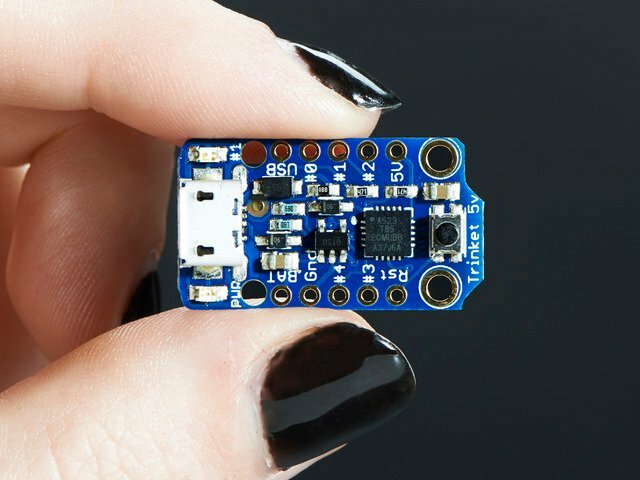 This guide no longer works with the original Trinket - we recommend upgrading to the Adafruit Trinket M0 (Product #3500) which has built in USB and does not need any special hacks to work! I managed to write a Python script that does the same thing as the Windows application, except it's not a system tray application. It needs to be launched through the command line or using a script. Since it's a Python script that uses cross platform modules, the whole script is also cross platform and thus it works on Linux and Mac OS X.
I've tested this on Windows, and I am only assuming it will work on Linux and Mac OS X at this time. I will test more when I am able to. The download package is located: https://github.com/adafruit/Adafruit-Trinket-USB/blob/master/TrinketFakeUsbSerial_allfiles_20131014... , the py file is inside the zip archive. The script should then run forever. It should gracefully handle connections and disconnections for you, but errors will show up on the screen. This guide was first published on Oct 15, 2013. It was last updated on Oct 15, 2013. This page (Install for Linux / Mac) was last updated on Apr 24, 2019.